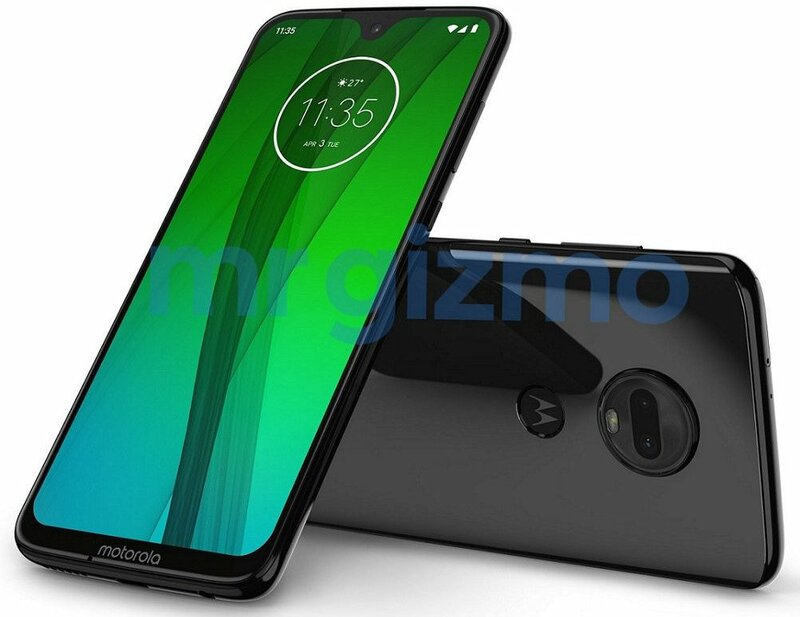 Motorola is now working on the next generation of Moto G series flagship Moto G7 and Moto G7 Plus that will have a new design and a notch display. The devices will carry a water-drop notch display along with dual rear cameras. Both the devices are expected to launch in late December or in early January in different markets. The LG G7 and G7 Plus are expected to come with Blue, Black, Red, and Silver color options. Both will run on the Android 9.0 Pie out of the box and will support dual-sim options. Both the devices have now been leaked in new renders confirming the water-drop notch and a new design. Let's check out the renders and rumored specifications of both of the devices. 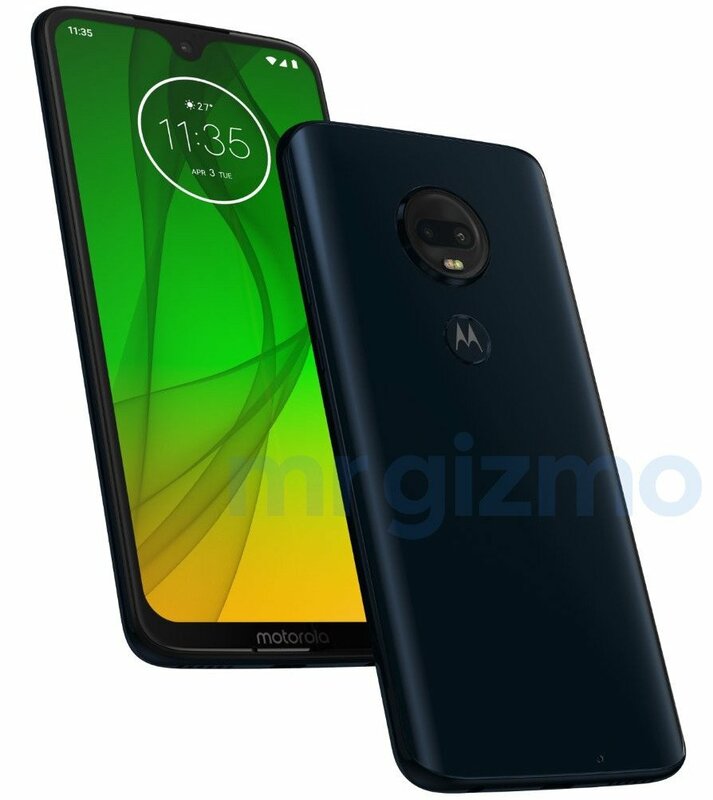 The Moto G7 is expected to feature a 6-inch Full HD+ display with 2340 x 1080 pixels resolution and a glass back. It will be powered by an octa-core Snapdragon 660 14nm Mobile Platform (Quad 2.2GHz Kryo 260 + Quad 1.8GHz Kryo 260 CPUs) with Adreno 512 GPU. It comes with 4GB of RAM and 64GB of inbuilt storage capacity and expandable storage up to 256GB storage with microSD card slot. It runs on the Android 9.0 (Pie) OS out of the box and supports Dual SIMs. It features a dual rear camera with a 16-megapixel rear camera with Dual LED flash along with a secondary 5-megapixel camera. It will have a 12-megapixel front-facing camera and will carry a 3000mAh battery. It will have connectivity options like 4G VoLTE, WiFi 802.11 ac (2.4GHz / 5GHz), Bluetooth 5, GPS, USB Type-C. It will have a fingerprint sensor on the back on the "m" logo. It will measure 156.86×75.4 x 8mm. The Moto G7 Plus is expected to feature a 6.4-inch Full HD+ 19.5:9 aspect display with 2340 x 1080 pixels resolution and will be powered by an octa-core Snapdragon 670 ( 2 x 2GHz Kryo 360 (performance) + 6 x 1.7GHz Kryo 360 (efficiency)) 10nm Mobile Platform with Adreno 615 GPU / Octa Core Snapdragon 710 10nm Mobile Platform (Dual 2.2GHz Kryo 360 + Hexa 1.7GHz Kryo 360 CPUs) with Adreno 616 GPU. It will have 4GB of RAM with 64GB storage and 6GB of RAM with 128GB of internal storage that will be expandable up to 256GB with the help of a microSD card. It will also run on the Android 9.0 (Pie) OS out of the box and will have Dual SIM support. It features a dual rear camera with a 16-megapixel rear camera with Dual LED flash along with a secondary 5-megapixel camera. It will have a 12-megapixel front-facing camera and will carry a 3500mAh battery. It will have connectivity options like 4G VoLTE, WiFi 802.11 ac (2.4GHz / 5GHz), Bluetooth 5, GPS, USB Type-C. It will have a fingerprint sensor on the back on the "m" logo.